The global spread of English both reproduces and reinforces oppressive structures of inequality. But such structures can no longer be seen as imposed from an imperial center, as English is now actively adopted and appropriated in local contexts around the world. 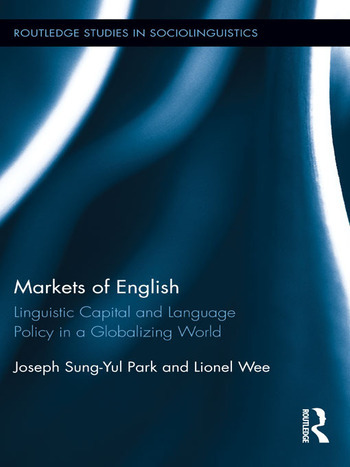 This book argues that such conditions call for a new critique of global English, one that is sensitive to both the political economic conditions of globalization and speakers’ local practices. Joseph Park is an assistant professor in the Department of English Language & Literature at the National University of Singapore. Lionel Wee is an associate professor in the Department of English Language & Literature at the National University of Singapore.